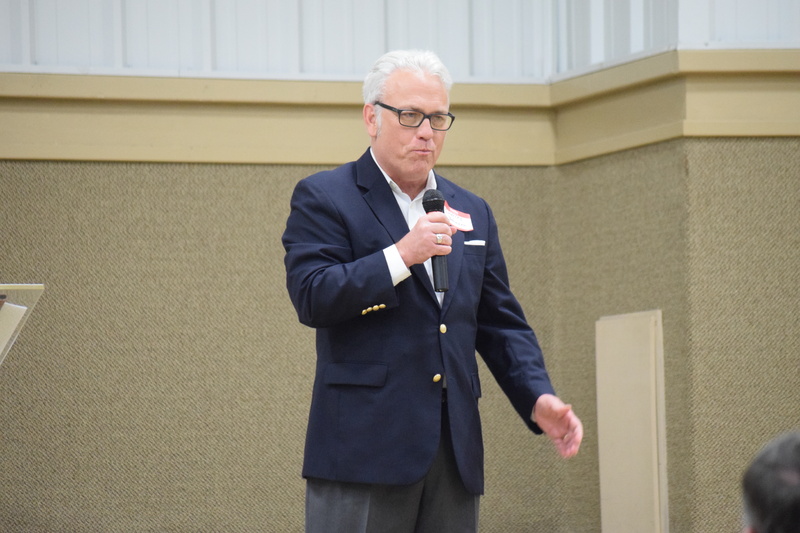 GRAPELAND – A luncheon, organized by Grapeland ISD Superintendent Gregg Spivey, was held at the First Baptist Church – Grapeland Life Center on Monday, May 1. The purpose of the luncheon was to provide area school administrators and public officials an opportunity to learn about the Pastors for Texas Children (PTC) organization and to receive a report on the 85th Texas Legislature, currently in session. Following the meal, the superintendent introduced PTC founder Rev. Charles Foster Johnson as the luncheon’s keynote speaker. As Johnson delved into the heart of his presentation, he said there were over 1,100 school districts in the state of Texas. The reason for this was because of the desire most Texans have for local control. He said during the course of his ministerial career he had been asked to become an advocate for public education in 2007. When he asked what the advocacy role entailed, Johnson said he was informed it would be a few visits to Austin to lobby lawmakers in support of public education. “That was in 2007, and boy, did I get an awakening. I learned of things in our beloved state that are just wrong. I learned there are legislators in Austin who do not believe in public education,” he said. 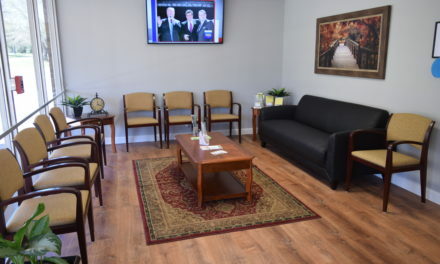 The minister said the state legislative districts served by State Sen. Robert Nichols and State Rep. Trent Ashby were well served because both believed in the public education system. He indicated the school property taxes paid by Grapeland residents often went to pay for other state budgetary items and not for education. 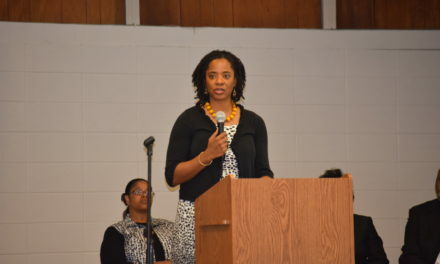 “I learned we are 46th in the nation in per pupil spending in public education. I thought we were part of the ‘Texas Miracle,’ a vibrant and prosperous state economically. Still, we are near the bottom in the investment we make in public education and yet we are still doing a phenomenal job educating our students. We have one of the highest graduation rates in the country and we are doing it on a shoestring budget,” he said. 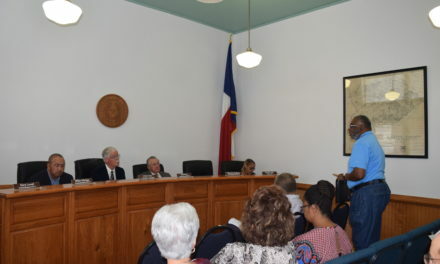 Johnson reported after his first trip to Austin, he came back and informed those who had asked him to speak with the legislators there were significant problems in Austin pertaining to the public education system. One area mentioned by the minister was a complete disregard for the Texas Constitution which expressly provides for state funding of public education. He indicated the monies taken from the public schools were funneled to private schools, but as a result, over time the private schools would became beholden to government funding and the stipulations that accompanied it. 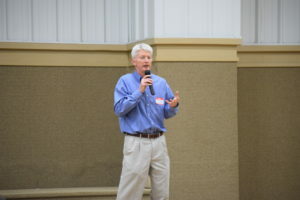 As his presentation drew to close, Johnson encouraged those in attendance to contact their area state senators and representatives to speak up for public education. He also encouraged the local clergy to look into joining PTC as a means of providing strength in numbers. NextElite Fitness Brings Home the Gold!